Posted December 22nd, 2015 by Media Heroes. 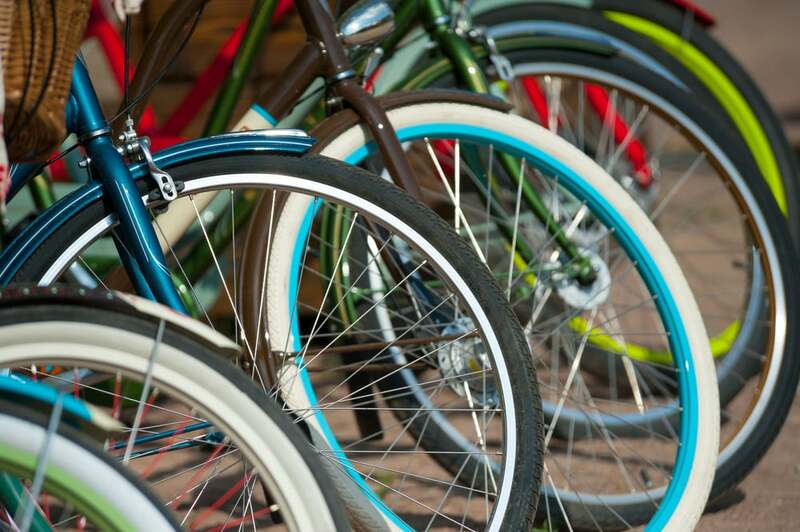 There are a multitude of bikes on the market today and each type of bicycle serves a specific purpose. This creates multiple options and raises the question – how to choose the right type of bike? Choosing the right bike depends on a number of things – most predominately the purpose for which you require it. Some might wish to purchase a bike as a means of transport, whilst others perhaps require a specific bike for competitive purposes or even leisure. This guide serves to outline the two most common types of bicycle and what they might offer you as a cyclist. Road bikes are fast, lightweight and designed to travel long distances at relatively high speeds. This makes them quite suitable for a number of applications. By virtue of their design, many road bikes have been designed with competitive riding in mind. Their narrow frame and thin tyres minimise wind resistance and friction, whilst their gears are optimised in accordance with the principles of quick acceleration. Additionally, road bikes are typically constructed from machined aluminium or even carbon fibre, so as to reduce their weight and increase their capacity for speed. Carbon fibre can be moulded far more effectively and this allows for not only a lightweight frame, but also an aerodynamic one. Having been designed with the intention of travelling long distances, road bikes can be utilised in a daily commute to great effect. This is predominately so for experienced cyclists, however, as there are several features of a road bike that can detract from its practicality. The narrow frame and tyres render many such bikes unstable and this can be somewhat of an impediment for inexperienced cyclists when travelling slowly through inner city traffic or intersections. Their narrow tyres are also more susceptible to kerb damage or punctures. Additionally, being a high performance bike means that some features of comfort were omitted in favour of speed and weight. Specifically, road bikes have very streamlined seats and lack the front suspension present in many of their counterparts. Long rides on uncomfortable seats can be quite a deterrent to some and the lightweight aluminium or carbon fibre frames are quite rigid, meaning that road vibrations and bumps are felt more heavily without the suspension. Mountain bikes are one of the more popular categories of bicycles and there are many good reasons for this. These bikes were designed primarily for the purpose of practicality and there are several features that enhance this. Listed below are some of the purposes for which a mountain bike might be used and some of the qualities that make them suitable therefor. Mountain bikes have a durable construction – often aluminium or even steel – and wider tyres, sometimes with relatively aggressive tread. As such, they are suited for use on a multitude of terrains; hence their name. A typical mountain bike will have in excess of twenty gears and this ensures that riders needn’t over exert themselves when cycling up hills, particularly considering the larger, more bulky frame of such bikes. The more advanced models might also be suited to cross-country cycling expeditions, however these ought only to be undertaken by experienced cyclists. Similarly to road bikes, mountain bikes can also be utilised in an urban or suburban commute. Their durable frame ensures that the likelihood of encountering any breakages is minimal; whilst their efficient gear ratios ensure that you will not over exert yourself physically before even arriving at work. Additionally, mountain bikes are usually fitted with relatively comfortable seats, which are often gender specific and give far better comfort than their high-performance counterparts. These seats are complemented by front suspension, which means that kerbs and potholes are no longer an obstacle. Given their unique design and purpose, choosing between road bikes and mountain bikes is primarily a matter of personal preference, experience and ability. It is important to remember however, that not all bikes are classified solely in the above mentioned categories – some hybrids do exist, as do a number of other bicycle types. Consulting a good bike dealer like Hoffy Cycles will often mean that you get the best of both worlds and purchase the right bike for you.